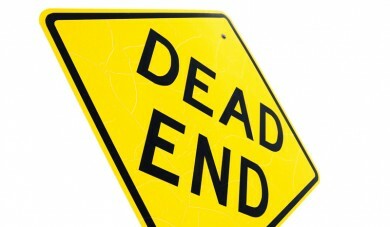 There are too many dead-end alleys that buyers wander down when they pursue digital content. In fact, at IDG Connect we find that over 25 percent lead nowhere. They fail to offer in-asset linkage to relevant content. Instead, buyers usually must back up to a navigation pane, review a non-descript list and play something akin to “go fish” to learn more. Don’t add pathing links just for the sake of having something there. When we do see links within assets, almost 50 percent lead to something generic or with a weak relationship. This type of filler food just slows down buyer momentum and makes them less likely to continue the buying journey–with you. After you cover the basics of effective pathing, consider other related assets that are based on the buyer’s role as decision maker or recommender, and primary focus (which can be related to technical issues, business impact or financial impact). Such linkage increases relevance dramatically and builds a sense you understand the buyer’s business. Anything you can do to enhance that sense is critical as “they don’t understand our business” is a top three complaint buyers have about vendors today. But how can you best manage all those links over time? It requires a content strategy that has each asset summarized with its type, focus, role, stage coverage, topical focus and stressed value propositions. Best to keep the information in a database to quickly identify those assets that must be modified as your content portfolio and offerings change over time. The benefits of pathing are clear–greater engagement intensity and tendency to recommend or buy. IDG Connect buyer research shows that when buyers engage with three or more assets, spread over three or more points in time they are more than 30 percent likely to put that vendor on their short list. And we know what that means … money.